Get the power and performance you expect from Troy-Bilt - now without the gas. 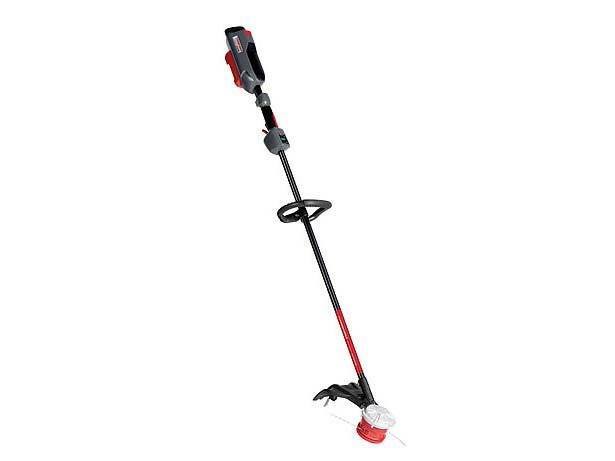 Built with the industry's only motor with a limited lifetime warranty, the TB4200 string trimmer is every bit as tough as it it intelligent - with on-demand boost mode that will help you power through your tall, thick wet grass. Manage runtime by monitoring your performance in real time with the illuminated Power Output Display. This string trimmer boasts a 16 in. cutting swath, variable speeds and a dual line bump head. With Battery - 12 lb. Without Battery - 8.6 lb.